Participants in the ATT Academy, Lake Nakuru National Park. Photo: Control Arms. 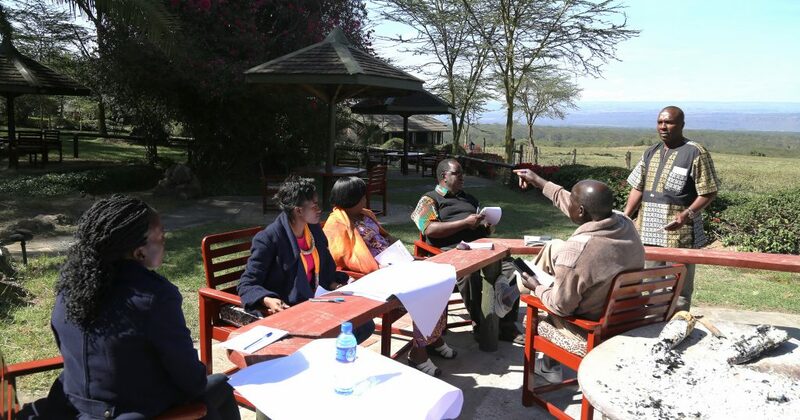 The second ATT Academy training took place from 05-08 December 2016 at Lake Nakuru Lodge, Kenya and focused on ensuring deeper understanding of the Treaty’s provisions and their practical application. Over four days, participants explored themes relevant to the sub-region including Wildlife Crime, Pastoralist Conflict, Tackling Gender Based Violence and Importer Obligations. Excellent expert speakers, group discussions, homework assignments and hypothetical exercises ensured positive engagement among participants. Field visits with the Kenyan Wildlife Services (KWS) rangers provided participants with deeper understanding of the challenges they face in preventing poaching and preserving wildlife due to the proliferation of illicit weapons in the region. The Arms Trade Treaty (ATT) Academy brings a new approach to learning about the ATT and its implementation. It provides an in-depth and tailored learning opportunity to carefully selected participants, all of whom engage directly with the ATT in their work as government, or as part of civil society. It also provides an opportunity to explore linkages to other relevant arms, security development instruments, and enables discussion and analysis of regionally-specific issues, such as the link between wildlife crime and small arms proliferation. Republished from the Forum on the Arms Trade’s “Looking Ahead 2017” blog series. The world is facing what the UN Environment Programme (UNEP) has described as an “Environmental Crime Crisis,” with an unprecedented slaughter of large mammals, particularly in the African continent. More than 100,000 elephants have been killed by poachers in the last five years and, over the same period, the number of rhinoceroses poached has increased every year. The illicit wildlife trade is now increasingly sophisticated, dangerous and globalized, integrated with armed groups and organized crime. It has been fueled by a proliferation of military-grade guns in unstable regions with high concentrations of rhinos and elephants. Since 2014, the UN Security Council has identified poaching as a regional security threat in Africa (S/RES/2134 and S/RES/2136). This month UNEP released a new report showing how environmental crime “threatens peace and security.” In 2017, the Arms Trade Treaty and other international measures could offer tools to address these problems in an integrated way. The ATT Academy project has developed an online training providing an in-depth look at the gender-based violence provision (Article 7.4) of the Arms Trade Treaty (ATT) and its role in addressing cross-cutting international and regional challenges, such as arms trafficking and the drug trade. The required reading list and homework exercise aim to illustrate some of the research the participants will need to do in order help their respective governments prepare for the implementation of Article 7(4) – the gender-based violence provision – of the ATT. To access the online training, click here. Pace University’s International Disarmament Institute presented research on how the Arms Trade Treaty (ATT) offers opportunities to the address the violent nexus between wildlife crime and illicit arms trafficking during an informal lunch at the UN hosted by Control Arms and Zambia. The report was well received by representatives of African states that have been affected by wildlife crime, highlighting the importance of the issue and the willingness to cooperate and use existing provisions to address it in a creative way. For further details on this event, read the write-up from Control Arms. The ATT Academy project has developed an online training on the relevance of the Arms Trade Treaty (ATT) to development, including the linkages to the Sustainable Development Goals (SDGs), particularly Target 16.4. It outlines how governments can integrate ATT accession and implementation activities into resources received as part of Official Development Assistance (ODA). The ATT Academy is organized by the Control Arms Secretariat and Pace University’s International Disarmament Institute. For over a decade, Control Arms and its members have been providing support and information to States of all regions in the development and eventual adoption of the ATT, and now in its universalization and implementation. As a university, Pace offers its experience with curriculum and course design as well as a track record of published research and learning on the ATT and other arms issues. The 2016 session of the ATT Academy is supported by the UN Trust Facility Supporting Cooperation on Arms Regulation (UNSCAR). 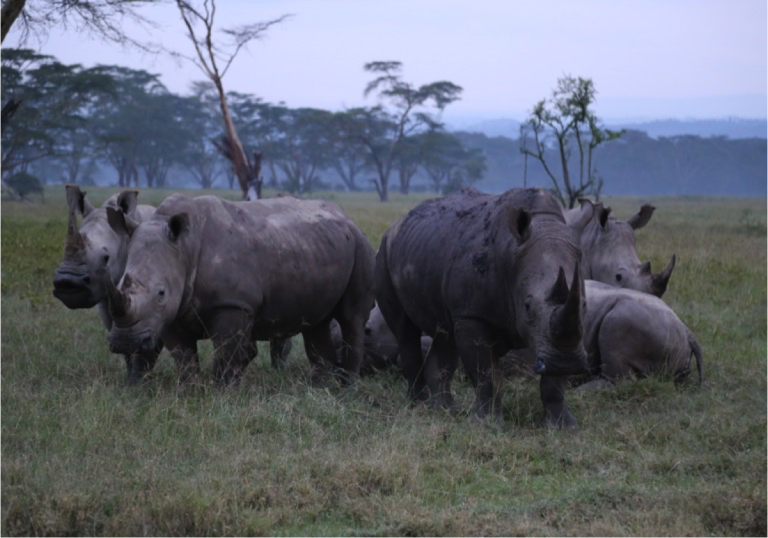 A family of white rhinos at Lake Nakuru, Kenya, June 2016. The United Nations Arms Trade Treaty (ATT) offers opportunities to address the violent nexus of wildlife poaching and illicit arms trafficking. This report offers specific advice to policymakers and advocates seeking to use the framework of the ATT to assess and mitigate the risk that arms transfers will be diverted to poaching networks or exacerbate the negative impacts of militarizing wildlife protection. Advocating international and regional cooperation, the report also encourages the universalization and rigorous implementation of the ATT, as well as the Convention on International Trade in Endangered Species of Wild Fauna and Flora (CITES) and other relevant instruments, particularly in States at risk of poaching and other wildlife crime. The report is also available in French.